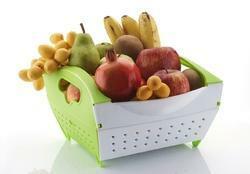 Manufacturer of a wide range of products which include fruit basket. Color Green, White, purple etc. Keeping in mind ever-evolving requirements of our respected clients, we are offering a premium quality range of Plastic Fruit Basket.